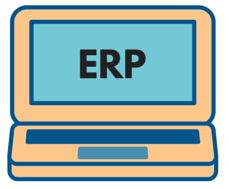 Business Performance really does seem to improve after a major ERP Implementation… eventually! Benchmarking Success is a long established and well know provider of Supply Chain Benchmarking services. Many of their customers repeat the benchmarking audit (known as a SCAR) over a period of years. When looking back over those companies that had major ERP implementations during the period being benchmarked, some interesting things come to light. Stephen Hanman and Artie Leslie of Benchmarking Success provide the following insights. Identifying current performance in terms of service delivered and the cost incurred to deliver that service. The process then compares these outputs of service and cost with the supply chain management inputs deployed. This enables a discussion about which inputs will drive up supply chain output performance [service up or cost down]. This process has been used by organisations to assess the success of IT software implementations like ERPs [e.g. SAP, Movex, etc], Supply Chain planning tools [e.g. i2, Manugistics, etc] and functional IT tools like a WMS. This process enables the organisation to tangibly assess the success of the implementation. Year on year Supply Chain performance comparisons [service, cost and inputs] applying the SCAR process provides a perspective of how long it takes for the organisation to initially return to pre IT implementation SC performance and then how long it takes to surpass that SC performance. It also provides a perspective about the SC value derived by the IT tool. From our database research, world class organisations take around 2 years to surpass pre IT implementation performance while other organisations can spend up to 5 years just returning to previous performance. The key to reducing the time to exceed pre-ERP performance is effective change management. The SCAR report provides insight into which management inputs can be leveraged to support the change management programme. The SCAR report also identifies which functional area(s) will require the strongest change management focus. So most major IT implementations do improve business performance, if well planned and implemented.